It's funny what you find yourself needing to buy when you move from warm to cold climates. One of the things you think you can get away with avoiding is gloves. That's a mistake. Whether you drive or commute via public transit you need a good pair of gloves. 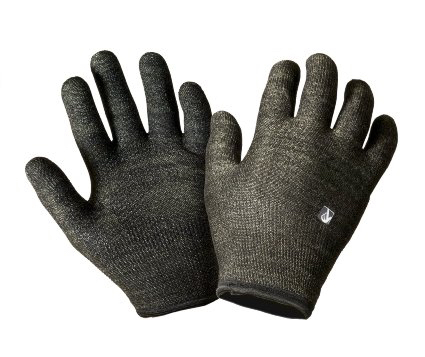 When I started searching for a pair I ended up purchasing the North Face Krestwood E-Tip gloves and have been really disappointed with how they work with touch screens. They have a seam that rounds your finger tips and unless they're a really tight fit you end up fighting to interact with a touchscreen even though they have "E-Tip Technology" built in. I've often found myself ripping them off in frustration to use my phone for 2 minutes and then put the gloves back on. That's not what I wanted. Back to the drawing board. This time when I went looking I found that The Wirecutter has already done the heavy lifting in the search for the best touchscreen winter gloves. I've purchased their number one pick, the Glider Gloves Winter Style touchscreen gloves and have really enjoyed them over the last few days. The one thing to pay attention to is the sizing guide for the gloves. I went with the medium size as the Krestwood gloves had been slightly large for my hands in the same size. The finger length on the Glider Gloves is really the main thing you'll notice. While I think I have pretty small hands, my fingers feel too long in the medium size so I'm swapping them for the large size. To find out more about the Glider Gloves and other touchscreen gloves check out The Wirecutter's write up.